Our final practice of 2018 will take place on Wednesday, December 26th. We will go to dinner together after we clean up the dojo. South Bay Shorinji Kempo will be assisting with Zenshuji’s annual Mochitsuki (mochi-pounding) event on Sunday, December 30th. South Bay Shorinji Kempo will be performing a public demonstration on New Year’s Day (January 1, 2019) at Weller Court in Little Tokyo, in downtown Los Angeles. We will announce the exact time soon! We will have our annual New Year’s day party on the evening of January 1st. Members, please check with the dojo for an exact location and time. The first practice of 2019 will be on Sunday, January 6th at Zenshuji. Shorinji Kempo is a martial art which is practiced for the goals of self-defense, improved health and spiritual development. It teaches effective self-defense techniques while developing true strength based on unity of body and mind, the cultivation of a reliable self, and the development of an indomitable spirit. 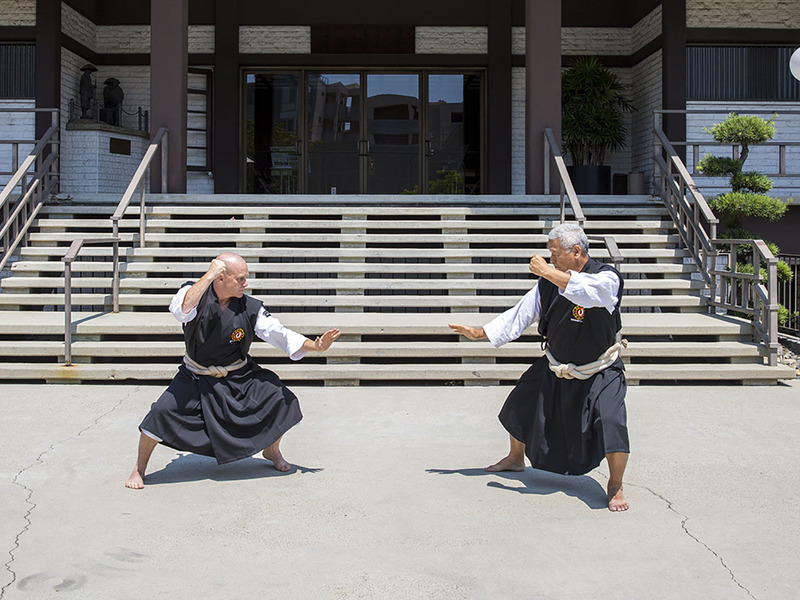 The physical techniques of Shorinji Kempo exploit the use of balance, dynamics, physiology and vital points of the body, so that strength is not required for their successful use. Shorinji Kempo was initiated in Japan in 1947 by Kaiso So Doshin as a system for nurturing people with his philosophy, self-defense techniques, and educational system. The teachings of Shorinji Kempo are based on Kaiso So Doshin's thoughts and philosophy. "Half for one's own happiness and half for the happiness of others." "Righteousness without force is powerless, while force without righteousness is violence." These words that describe a way of life and a way of being are the basic concept of Shorinji Kempo. 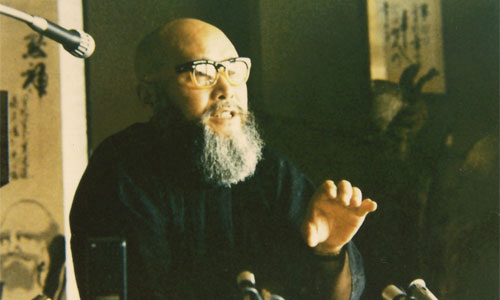 It was Kaiso's teachings that each one of us should first establish our self to become confident, and then we should all help each other to live peacefully together. Shorinji Kempo consists of self-defense techniques based on the three systems of Goho (hard methods), Juho (soft methods) and Seiho (correcting methods) that branch out to a total of 25 branches. Goho, mainly consisting of Tsuki (punches) and Keri (kicks), and Juho, mainly consisting of Nuki (releases), Gyaku (reverses), Nage (throws), and Katame (locks), are rational techniques based on various principles and are designed to enable a person to control an opponent regardless of his physical size or power. Shorinji Kempo trains both the body and the mind. Competition or contesting strength is not its goal. Enjoy improving your techniques with your opponent while strengthening your body and mind. This is a special style of training that is only available through self-defense techniques. This educational system, which is unique to Shorinji Kempo, aims to help you gain confidence and courage through knowing your scope of possibilities, and using such qualities to do good for others and society. 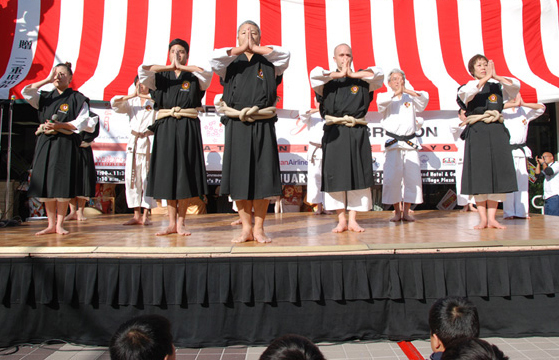 South Bay Shorinji Kempo was officially established on May 12, 2000 by Mr. Ted Uekuma. Uekuma Sensei strives to transmit the true spirit of Shorinji Kempo as it was taught to him by Yamamori Sensei, who was the first person to bring Shorinji Kempo to the United States from Japan. Yamamori Sensei studied under Morikawa Sensei (Rakuto doin, Kyoto) as well as Kaiso Doshin So (the founder of Shorinji Kempo). 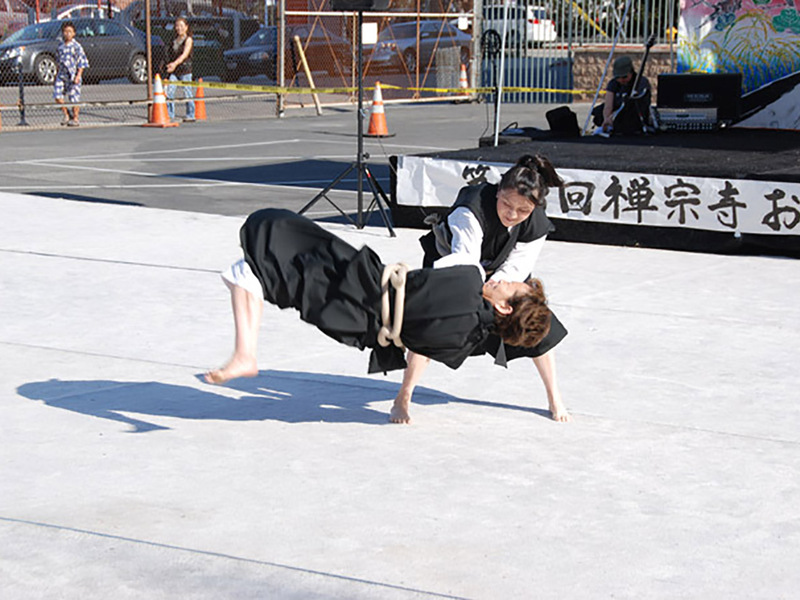 Each year, South Bay Shorinji Kempo participates in various demonstrations, festivals, and seminars, including the New Year's demonstration (Oshogatsu) in the Little Tokyo area of Los Angeles, the Nisei Week demonstration, and various others. The South Bay branch practices three times a week at two locations. 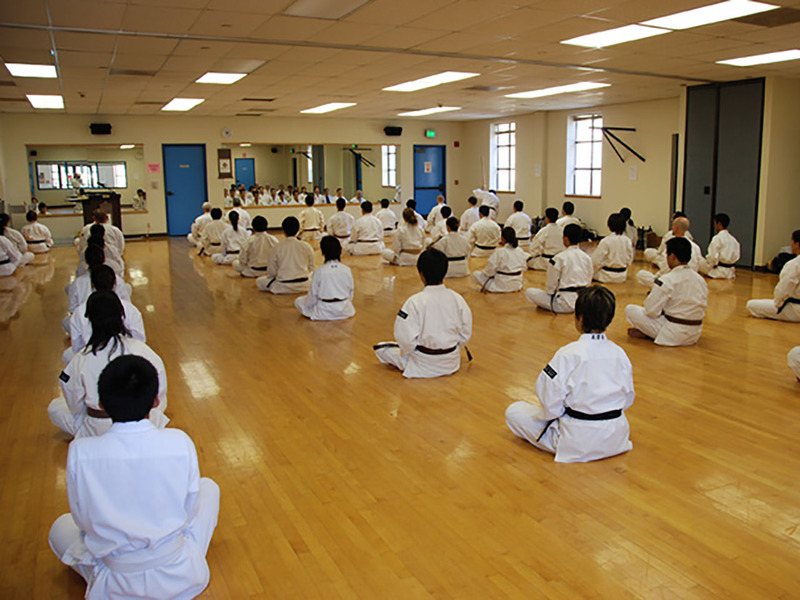 Wednesday and Sunday practices are at Zenshuji Soto Mission near Little Tokyo / Arts District in downtown Los Angeles; Friday practices are held at JCI Community Center in Gardena. Please see the SCHEDULE section for more details. Please feel free to stop by one of our practices. You can call ahead to make arrangements, or just show up. You can sit and watch, or better yet, come in your regular gym clothes and jump in right away. If you are interested in joining, there is a modest monthly fee of $45, which goes to cover capital and rental expenses. This fee might seem lower than one would expect for martial arts instruction, but it is forbidden for a Shorinji Kempo instructor to make a monetary profit from his teaching. Shorinji Kempo instructors strive to share what they have learned from their own teachers with each new generation of students, and in the process, both the students and the teachers work to develop their body, mind, and spirit. Please call between 8am and 5pm. We look forward to meeting and practicing with you.